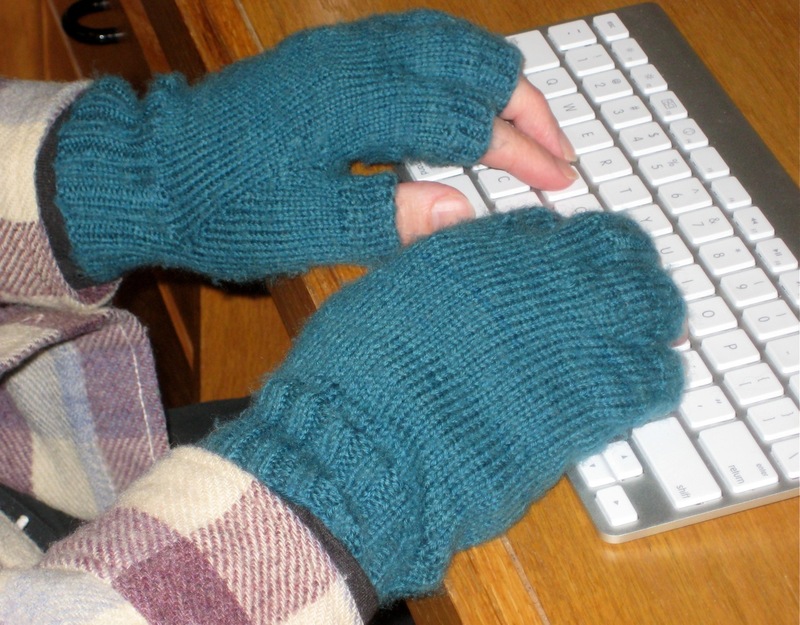 If you used a Windows computer instead of a Mac your fingers would not get cold. Every touch on a Windows key connects the user with the tremendous power sources resident in Redmond. CAPS provide even more heat which is why many older people on Windows computers tend to write in all CAPS. 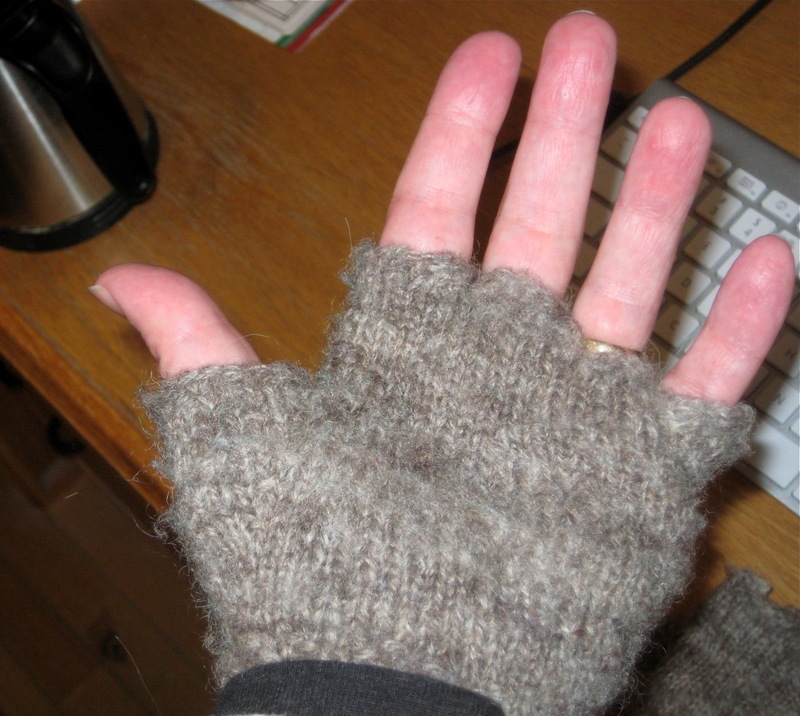 It keeps their fingers quite toasty. 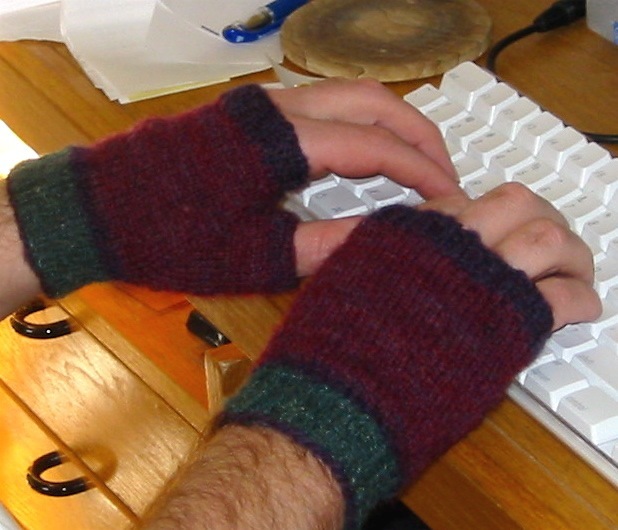 I have a Warm Mouse which uses infrared heat to warm my right hand (which is the only one that tends to get cold.) 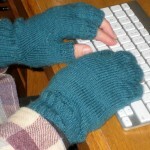 I like that it also keeps my carpal tunnel under control. 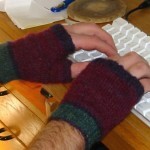 I had a pair of USB warming fingerless gloves, but those got too hot. I like the idea of using hand-spun wool, though. I may have to hit my mom up for a pair. 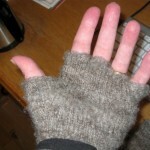 Fortunately, my hands generate their own heat. All I need is something to keep it from escaping too quickly.